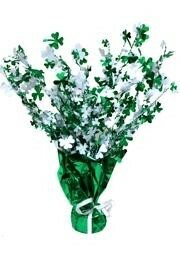 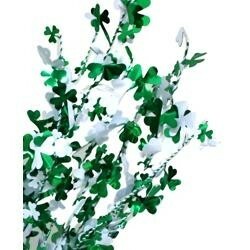 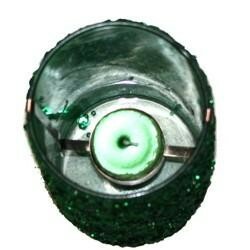 A metallic green and white shamrock/ clover centerpiece for St Patrick's Day. 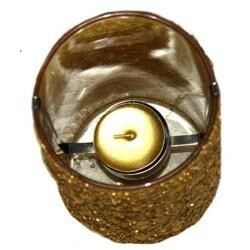 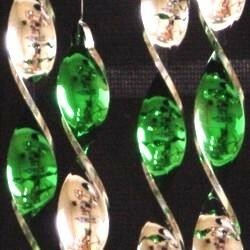 This is great for decorating parties and parade floats. 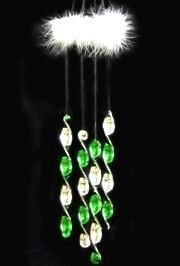 This green and silver metallic wind chime on a fluffy hunger is perfect indoor decoration not only on St. Patrick's Day.